"Came here after a bad car wreck and Dr. Walsh had me feeling better in no time!" "Dr. Lisa was a tremendous help to me personally and to my midwifery clients." "This is the go-to chiropractic care for my entire family." "I have only gone once, but I can tell that Lisa knows what she is doing!" "Best chiropractor I've every experienced. Dr. Lisa is intelligent in her field of work." "Lisa Walsh has a kind heart and truly passionate in her work." "Dr. Lisa is the most amazing chiropractic doctor ever." "Dr. Lisa is integral to my mind and body health and well being." "I have been seeing Dr. Lisa for a few months now and my lower back problems are gone!" At Coastal Family Wellness in Pacifica, California, Dr. Lisa Walsh provides a holistic approach to wellness. Using natural methods and remedies, she treats the entire family while specializing in pediatric chiropractic care and pregnancy. Through continuing education in all areas of her practice, Dr. Walsh ensures she’s applying the most current techniques in her field. With 17 years of experience and five children of her own, Dr. Walsh is knowledgeable about all stages of childhood development. She targets her practice toward neurodevelopmental disorders such as autism but also addresses other common ailments of childhood, including ear infections, allergies, and sports injuries. For her pregnancy patients, Dr. Walsh uses the Webster technique, a form of chiropractic care that helps alleviate discomfort during pregnancy and supports natural labor and delivery. Dr. Walsh also provides postnatal care for a quick recovery. A holistic approach means Dr. Walsh considers the whole person, mind, spirit, and emotion, as well as their body. Her use of Neuro Emotional Technique (NET) provides relief from stress-related conditions and helps her patients deal with emotional trauma. Throughout her years as a family chiropractor, Dr. Walsh has treated hundreds of car accident victims suffering emotionally as well as physically. She continues to provide chiropractic care to these patients, helping to restore mental and physical wellness. Dr. Walsh’s natural approach includes nutritional counseling for the entire family. Whether the goal is managing weight, addressing digestive issues, or managing allergies, her personalized dietary plans support total wellness. Dr. Walsh also offers detoxification plans for ridding the body of heavy metals and other harmful substances. As she builds relationships with her patients, Dr. Walsh provides customized treatment plans for each family member. In a warm, nurturing environment, she gives her patients the best care for their optimal health. RyannShane Sharpe is a certified massage therapist through CAMTC. 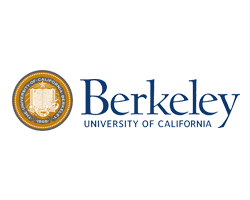 She earned her certification in July of 2014 and has practiced at Massage Envy in Burlingame and Luminous Day Spa in SSF. She recently partnered with Dr. Lisa Walsh at Coastal Family Wellness and is excited to be working with the Pacifica community, where she was raised. Before becoming a massage therapist RyannShane worked in the audio visual industry for almost 10 years. While working in the audio visual industry she injured her back. To manage her back pain RyannShane started to get massages and immediately realized the benefits of holistic approaches. She loved how well the messages helped her and wanted to help others. She knew message therapy was a career path for her and enrolled in a message program. The seed was planted and her passion began to grow. She attended Skyline College Massage Wellness Program and graduated at the top of her class. After graduating she went to work for Massage Envy where she became the lead massage therapist within a year followed as well as being nominated for therapist of the year. After her return from maternity leave she started working for Luminous Day Spa to expand her practice. Although she enjoyed her practice there, she realized she wanted to return to the Coast. RyannShane is excited to be working in Pacifica at the Coastal Family Wellness practice working with new clients and working with prenatal clients, which is one of her specialties along with specific work. 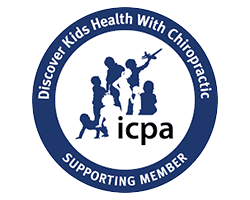 With the birth process becoming more and more an intervening procedure, the chiropractic adjustment becomes even more important to the child's future. Dr. Lisa Walsh is Webster Certified, a form of Chiropractic care. In addition to general chiropractic care, we offer a unique neurosensory integrative program for all stages of life, from pre-conception, pre-natal, post-natal, infant care through adult. These neural disruptions can cause weaknesses in the brain leading to imbalances such as dyslexia, ADHD, and autism. We have created a nurturing kid-friendly coast-side wellness retreat, dedicated to giving our patients highly personalized care. Dr. Lisa has a patient-first philosophy and will work with you to achieve your individual health goals. 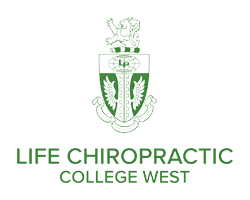 Dr. Lisa will share her experiences of the chiropractic lifestyle including how to eliminate the sources of illness and disease: traumas, toxins, and negative thoughts. This may also involve purification and gut rehabilitation. The ultimate goal: To create optimal health and well-being in the body. For existing patients, please book your next appointment! We work with hundreds of car accident victims to rehabilitate them back to good health and body function. Our staff will work with your auto insurance to provide the best possible treatment plan to get you back on your feet as soon as possible. in the San Mateo office for existing patients. Please call the office to schedule an appointment! Our children deserve to be treated naturally and given the best possible chance to live a healthy life. Schedule an appointment with Dr. Walsh for a simple spinal check, as it can make a huge difference in your child's future. "My whole family has been going to Dr. Lisa for many years and have benefited from her advanced chiropractic treatments for many injuries and illnesses." "Great local chiropractor. She took very good care of me when I was in a car accident last year." "She is fantastic and works miracles on me and my family! I don't know who I could trust with our health without her!" "She is knowledgeable, resourceful, and just an all around upbeat person. I get occasional migraines and a quick adjustment from Lisa always makes them go away." 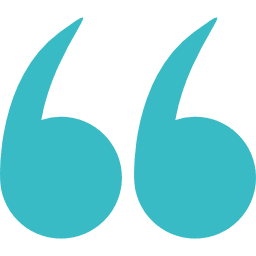 "Dr. Lisa is an experienced and highly skilled professional and a kindhearted woman who truly cares about her patients." "I have been working with Dr. Lisa Walsh for several years now and find her to be a very confident healer." "I have been a patient of Dr. Lisa's since early 2000. Her approach to the whole body is what makes her so unique."